The Beatles Song of the Day is Maggie Mae. Maggie Mae appears on the Let It Be album. The song was an old Liverpool song- public domain.It is a folk song about a prostitute who robbed a sailor coming home from a round trip. 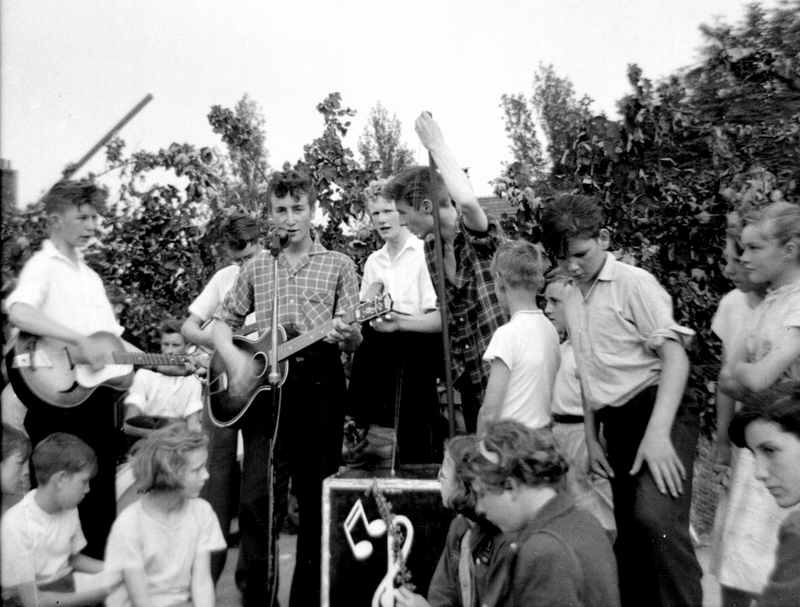 It was one of the first songs The Beatles played- before they were The Beatles- back when they were the Quarrymen. The song was played on the greatest day in the 20th century- July 9, 1957 the day John met Paul. John Lennon: vocal, acoustic guitar: Paul McCartney: vocal, acoustic guitar, George Harrison: bass-line on electric guitar: Ringo Starr: drums. Produced by Phil Spector. Rating Maggie Mae – ** stars out of 5 stars. Length of song : 40. Maggie Mae was never released as a single. critic Bill Wyman ranked it #94 out of 213 Beatles songs. It didn’t make the other rankers Top 100.